It’s here! Back to school season is in full swing and we want to help green your routine. 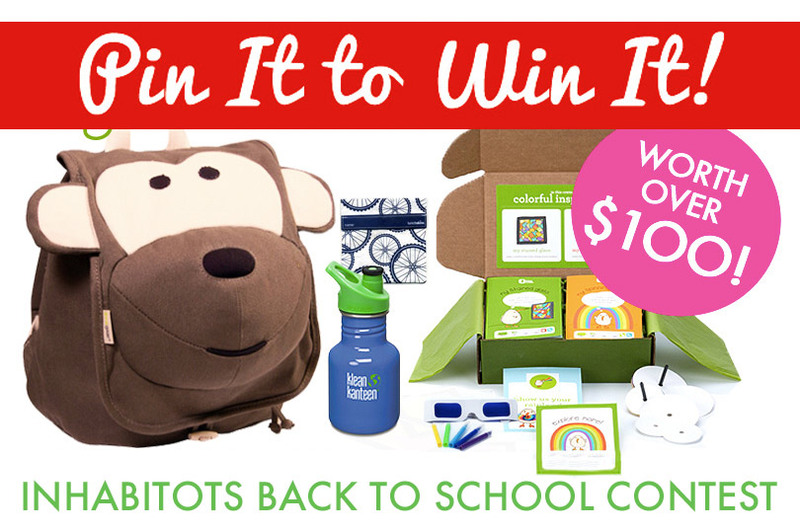 We’re offering up the chance for TWO LUCKY WINNERS to win $100 worth of back-to-school essentials from The Ultimate Green Store! The two winners will have their ultimate green kid fully equipped for the upcoming school year. We’re looking for the best and brightest ideas to lower your tot’s environmental footprint. Two grand prize winners will each receive $100 to spend on eco-school supplies, and will get to choose from items like upcycled backpacks, BPA-free lunchboxes, stainless steel reusable water bottles, tree-free recycled pencil sets, and much more. The deadline for all submissions is September 17th at 11:59PM ET. Read on to learn how to enter! 2. 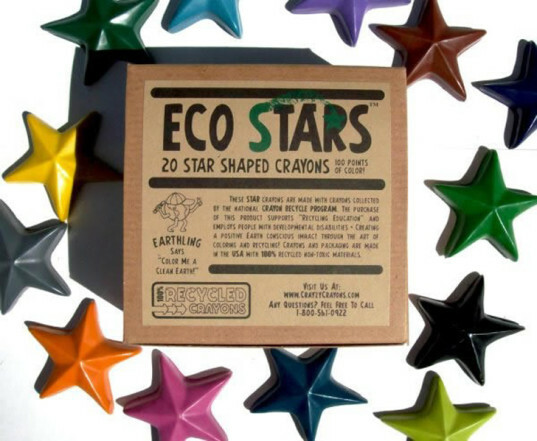 Create a Pinterest board and pin at least 5 items from The Ultimate Green Store’s Kid Department and pin at least 5 items from Inhabitots.com (ideally more if you’re feeling inspired). These items should be products that you’d like to have to create the greenest possible school year for your kids. This could be school supplies, lunchboxes — anything you like that keeps your kid healthy and helps preserve the environment. Be sure to pin at least 5 items from Inhabitots.com and 5 items from The Ultimate Green Store! 3. Submit your Pin board’s URL to Inhabitots by leaving a comment below. Make sure to use your real email address, since that’s how we’ll be contacting our winners! 4. Our judges panel will review all submissions and select our two favorite boards to receive the The Ultimate Green Store back to school prize package. Part carryall, part fluffy friend, the EcoZoo PVC-free packs are made from natural cotton canvas and rope and their buttons and buckles are made from recycled plastic and sustainable wood. 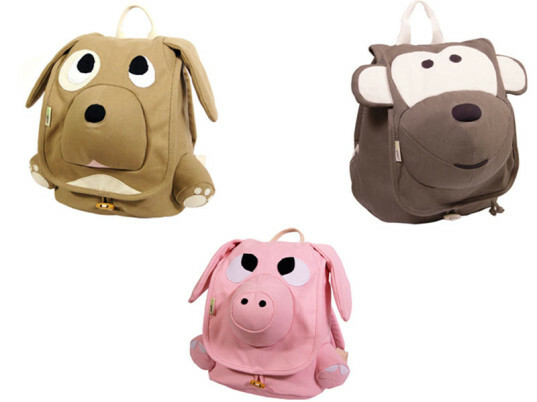 All colored materials used in the construction of these backpacks are treated with toxic-free dyes. Reusable lunch boxes are an absolute must for a greener school year, and bento boxes are perfect for giving your kid a wide variety of healthy treats. We dig the Mix and Match Bento Boxes that are completely BPA-free and functional. 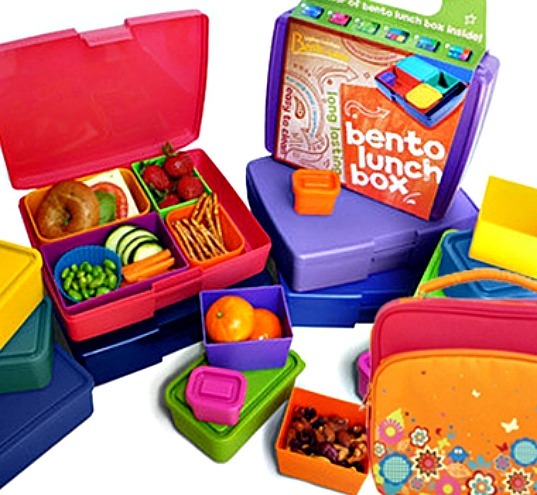 The Ultimate Green Store’s bentos also fit perfectly into their associated bento carriers, which come in a variety of designs promoting individuality and sustainability all at once! 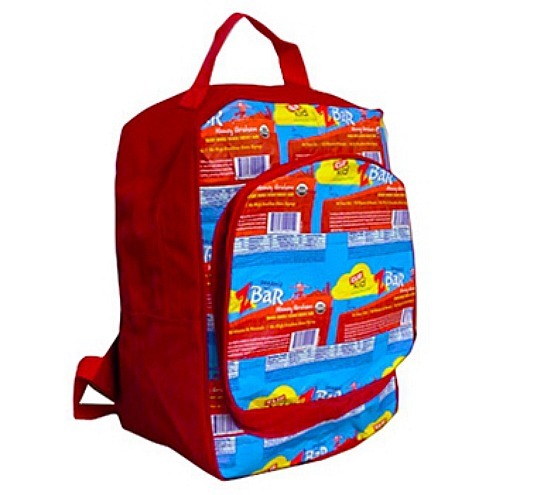 One of our favorite school items from The Ultimate Green Store is the Terracycle Clif Kid Z Bar Upcycled Backpack, a unique backpack made from upcycled snack bar wrappers! The Terracycle company launched a campaign to reduce landfill waste, fashioning this sweet bag from the wrappers of Clif Kid Z Bar Health Bars. Not to worry, the used wrappers are fully sanitized before undergoing their transformation, and it is a great use for waste that is otherwise not recyclable. Better yet, the material is water-resistant, yet easily cleaned with a damp sponge. It’s roomy and equipped with an adjustable handle, for all your tot’s school day adventures. And it’s also quite the green conversation piece! With recent studies showing that aluminum water bottles with epoxy liners contain BPA chemicals, we opt for medical-grade, stainless steel. 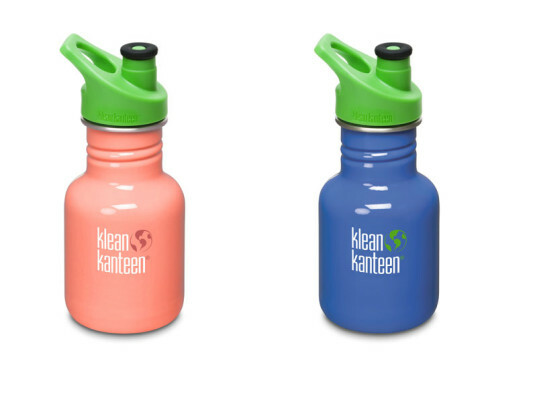 The Ultimate Green Store’s Thinksport Stainless Steel Water Bottles and Klean Kanteens, sport those safe specs and contains a smaller polypropylene spout for kids. It also keeps drinks cold for up to 12 hours and is dishwasher safe — sounds like a win-win! http://www.pinterest.com/cheryllcosenza/ecofriendly-ideas/ I had so much fun creating this board!! CONTEST ENDS TONIGHT! Win $100 from The Ultimate Green Store in Inhabitots� Pinterest Contest! It�s here! Back to school season is in full swing and we want to help green your routine. We're offering up the chance for TWO LUCKY WINNERS to win $100 worth of back-to-school essentials from The Ultimate Green Store! The two winners will have their ultimate green kid fully equipped for the upcoming school year. We�re looking for the best and brightest ideas to lower your tot�s environmental footprint. Two grand prize winners will each receive $100 to spend on eco-school supplies, and will get to choose from items like upcycled backpacks, BPA-free lunchboxes, stainless steel reusable water bottles, tree-free recycled pencil sets, and much more. The deadline for all submissions is September 17th at 11:59PM ET. Read on to learn how to enter! One of our Ultimate Green Store favorites is the Terracycle Cliffbar Backpack, a unique fashionable backpack fashioned out of upcycled snack bar wrappers. The Terracycle company launched a campaign to reduce landfill waste, fashioning this sweet bag from the plastic wrappers of Clif Kid Z Bar Health Bars. Not to worry, the used wrappers are fully sanitized before undergoing their transformation, and it is a great use for waste that is otherwise not recyclable. Better yet, the material is water-resistant, yet easily cleaned with a damp sponge. It's roomy and equipped with an adjustable handle, for all your tot's school day adventures. Reusable lunch boxes are an absolute must for a greener school year, and bento boxes are perfect for giving your kid a wide variety of healthy treats. We dig the Mix and Match Bento Boxes that are completely BPA-free and functional. The Ultimate Green Store's bentos also fit perfectly into their associated bento carrier, which come in a variety of designs promoting individuality and sustainability all at once! With recent studies showing that aluminum water bottles with epoxy liners contain BPA chemicals, we opt to go for a medical-grade, stainless steel. The Ultimate Green Store's Thinksport Stainless Steel Water Bottle, sports those safe specs and contains a smaller polypropylene spout for kids. It also keeps drinks cold for up to 12 hours and is dishwasher safe - sounds like a win-win.